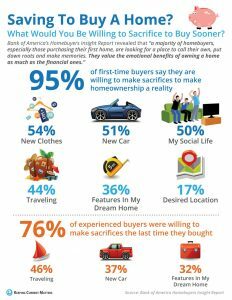 What will you sacrifice to buy your home? Are you trying to save for a down payment to purchase a home? What are you willing to give up to help in your savings? Click the link for some helpful hints!